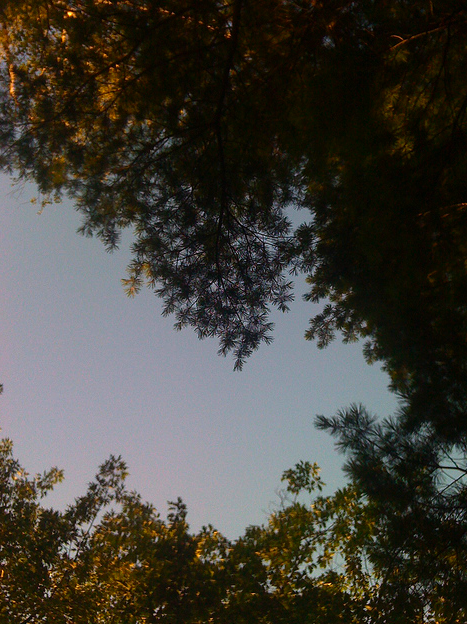 Kennedy Park in Lenox, Mass. is, in effect, my new backyard. I’ve explored several of its trails in the last year in all seasons, trudging through snow to the lookout gazebo in the winter, exploring the Cold Spring Trail in the spring, and meandering down any given path in the summer and fall. Still, the park feature within the closest walking distance for me was one I had missed until this past weekend, when I went for a hike with my friend Emeline and her French Boxer Daya. A quick meander brought us through Waldenesque woods and to a clearing that offers one of the most expansive and breathtaking views of the Berkshires I’ve seen yet. We were immediately in our element; spreading out a blanket on the grass while Daya flounced around the clearing sniffing at sticks and blades of grass, conversation was light as we looked over the vista or up at the trees. At times, we heard strains of music drifting over on the breeze from nearby Tanglewood, and at one point, two hot-air balloons rose from behind a mountain and lolled around in the sky for a bit before dipping back down. Interestingly enough, this very spot is the center of some small-town controversy. 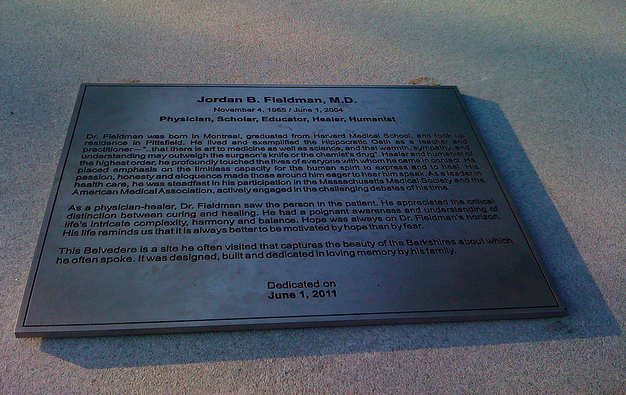 A large memorial was recently constructed there in honor of a brain surgeon who passed away six years ago. 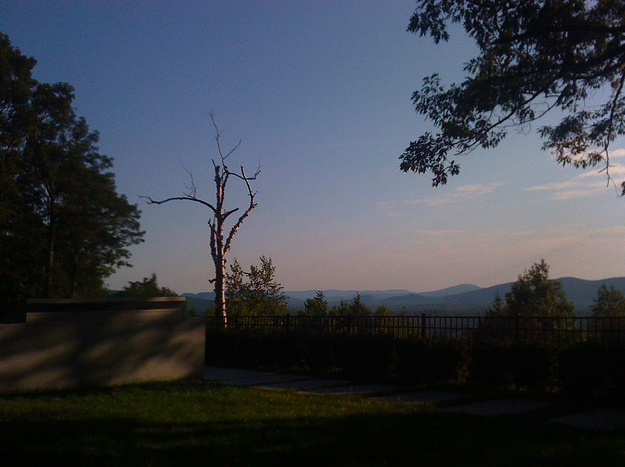 He was a deep lover of the Berkshires and, as it seems, the outlook we were enjoying. 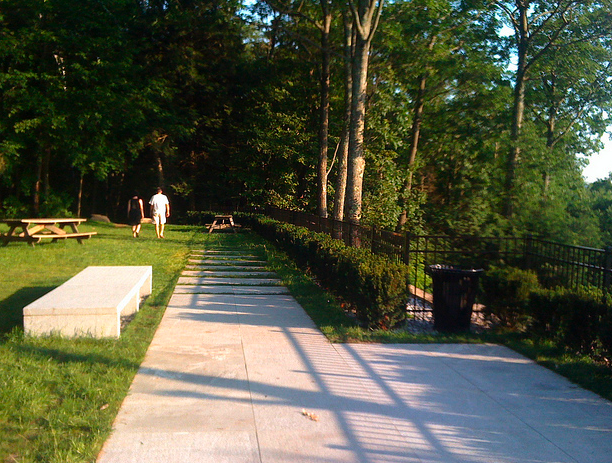 But the granite and marble structure isn’t sitting well with some, who contend it is far too big and interrupts the bucolic look and feel of the clearing, once speckled only with picnic tables, benches, and a fire pit. According to the Berkshire Eagle, the Lenox Selectboard unanimously approved the project in 2010. The structure was financed with private funds from family members, friends, and Berkshire Medical Center colleagues of the doctor. It’s what’s known as a ‘Belvedere–‘ a structure added to an overlook to command a view, or an ‘open-sided gallery’ by other definitions. In other words, it’s inherently large, so as a word-nerd I can’t help but wonder at what point the word ‘belvedere’ entered the conversation surrounding its construction. Perhaps this is the lynchpin of the debate, and the ill feelings. In my view, the memorial is indeed large and contemporary in style, which contrasts the surrounding landscape. 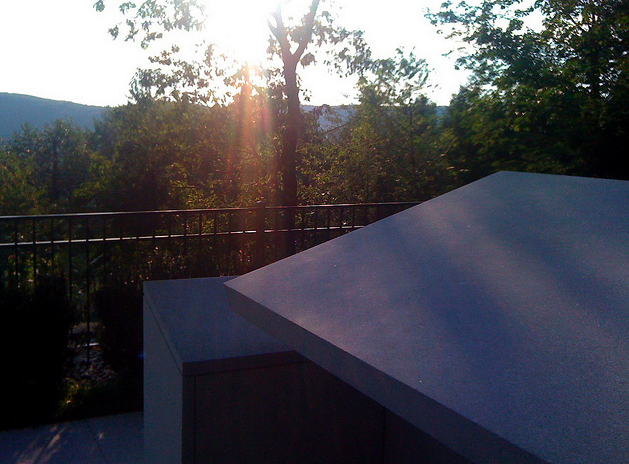 I can see how residents, particularly those long used to open space at the overlook, are miffed. But at the risk of sounding like PollyAnna, I considered it for a bit, then turned my gaze back to the mountains. After ten years in a struggling city, often living in homes or apartments with no backyard to speak of at all, I am not in a position to say an architect’s vision could ruin my Sunday hike. The vista still eased my mind, and reminded me that this is home.